Synapse Construction specializes in exterior construction. As a Seattle siding and window contractor we understand the importance of what goes on behind the visual elements. We employ the latest technologies for our siding and window installations to make sure they will last a life time and protect your building. Our team of talented craftsmen make our siding and window projects look as beautifully as they perform. We know how important the building envelope is and have been fortunate to work with some of the leading building envelope engineers in the Seattle area. Whether an envelope engineer is part of the siding project team or not, great care is taken to provide a tight waterproof building envelope. Our siding craftsmen take pride in their work and know that at the end of the day its all about our customer’s satisfaction. Our skilled siders are fully capable of implementing custom exterior details. Our goal is to exceed our customer’s expectations on every siding and window replacement project. As a licensed, bonded and insured full service Seattle siding and window replacement company, you can rest assured your project is protected and our work is guaranteed. We take safety on the job site very seriously and implement a job specific safety plan for each Seattle siding and window replacement project we work on. Pacific Exteriors was founded in 2008 by David Homavand with an emphasis on offering the highest quality siding installations in the industry. Since then, the company has earned a reputation as an exterior specialist that offers superior home improvement services. Pacific Exteriors LLC is now the largest residential residing contractor in Washington. Pacific Exteriors is a BBB-accredited, James Hardie Master Elite company. Each of our employees is fully trained with the specialized knowledge and tools required to properly install leading James Hardie products in accordance with warranty requirements. If you’re looking for siding installation, exterior repairs, remodeling consultations, and more, we are the company best suited for your needs! Energy Exteriors NW, LLC is locally owned, with residential expertise in exteriors replacement projects of all sizes and requirements for your home's window, exterior doors and siding needs. Our technicians also have over 25 years of installation experience, ensuring a quality fit and appearance. We keep your needs in mind at all times and are proud of our great customer service. 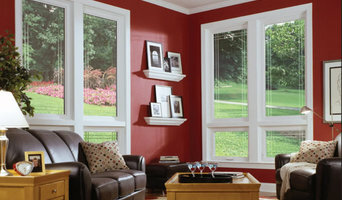 So if you’re looking for a reliable company with quality windows, please call us at 425-482-3054. At Side-Pro Inc, you get multiple high quality construction services under one roof. Whether you need new siding, paint, exterior carpentry work, or roofing, we have skilled employees ready to streamline your project from start to finish. Our employees are highly skilled, knowledgeable and deliver fast, friendly service at an honest and fair price. Our company is family owned and operated, and was established in 1995. We are based out of Woodinville, Washington and serve over half of Washington state. Annually, we complete over 750 projects for both residential and new construction applications. We believe our quality workmanship, outstanding service, and our vast industry experience is the reason we have so many satisfied customers. Whether replacing your siding or building a new home, our expert design team and certified craftsman can provide classic and unique styles to make your home the envy of your neighborhood. We look forward to working with you! Our company specializes in making the exterior of townhouses, condominiums, apartments, and single family residences both beautiful and weather protected. Working with the best architects and water-intrusion experts in the Northwest has given us knowledge and training to do first class work for you. This includes siding, painting, new windows, and decks. 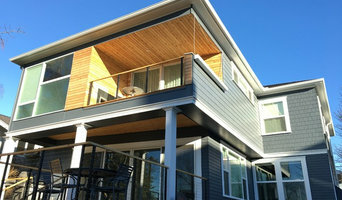 Exterior Crew is committed to providing superior quality siding installation services to Seattle and the Eastside area. As a local, family-owned, company with over 15 years of custom installation, renovation and replacement experience, our goal is to provide the ultimate in siding solutions to beautify and protect your home, offering every client our all-inclusive, 5-year craftsmanship warranty. We install all type of siding on commercial and residential projects. Global Division Inc. fully licensed, bonded and insured. Registered in the state WA. Quality, safety and responsibility. We specializing in new construction and remodel. We are capable to do residential and commercial buildings. Our company can help you with exterior and internal project. One stop building solution. 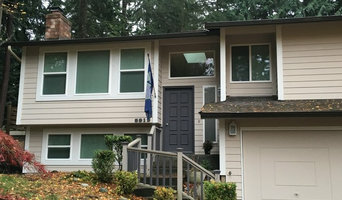 Rain City Exteriors has been providing homeowners and businesses across the Puget Sound with the region’s best in home improvement services, such as siding, painting, windows, and roofing. 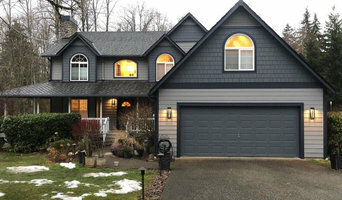 A local, fully licensed and bonded, community-minded business with an outstanding track record and a dedicated crew of full-time specialists in a variety of areas, Rain City Exteriors is committed to getting the job done right, within budget, and on time. We’ll only work with the best materials available and provide the best guarantee in the industry on all labor. We never compromise quality for time and give our clients realistic schedules that accommodate their lives. We strive for honest customer service, so contracts are only paid in full when the finished work is to your complete satisfaction. 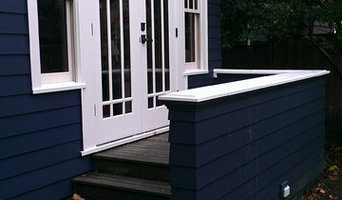 Gp General provides custom siding solutions for builders in the Seattle Area. Our goal is for you to be 100% satisfied with your siding, now and for decades to come. We proudly serve NorthWest with siding, windows , tile and many other modern materials. Our price and Quality will make you want to come again to our store. While providing high class material ,we are helping our costumers with referrals for all of their construction needs . With more than 20 years of experience in construction industry, our clients can be reassured that we have the knowledge and expertise to carry out some of the most complex projects. ROD Construction LLC is properly licensed and bonded to handle residential and commercial projects of any level of complexity. We specialize in all of Exterior Finishes, including customizing materials to fit your needs. We are well equipped and have the man power to deliver an outstanding product with high efficiency and see projects to end meeting deadlines. We can take on multiple commercial projects larger than 25,000 square feet simultaneously and focus on complex projects as we enjoy the satisfaction of our clients upon delivery. We have a team that handles residential projects, including custom homes with sophisticated designs. We would love the opportunity to establish a business relationship and help you bring your blueprint to life. We serve the greater Seattle area and have completed projects throughout. Our company has developed strong partnerships with established vendors. Please contact us for your Siding needs! Some exterior contractors in Seattle, WA can provide you with planning tools that allow you to see before and after images of your house. Engage with a professional to see what their services offer. They may also need to work with other contractors to adjust framing or roofing to suit your desired exterior. Here are some related professionals and vendors to complement the work of cladding & exteriors: Building Project Managers, Architects, Roofing & Gutters, Home Builders, Design & Construction Firms. Find a Seattle, WA home exterior contractor on Houzz. Scroll through this page to find professionals in your area. You can narrow your search by selecting your nearest city or postcode. Browse professionals' latest projects or product photos, read reviews and message them directly.